Hospital staff in Brighton, Hove and Haywards Heath are going to receive specialist training to improve their knowledge, skills and confidence when working with children and young people who are experiencing mental health difficulties whilst in hospital or attending A&E in a mental health crisis. 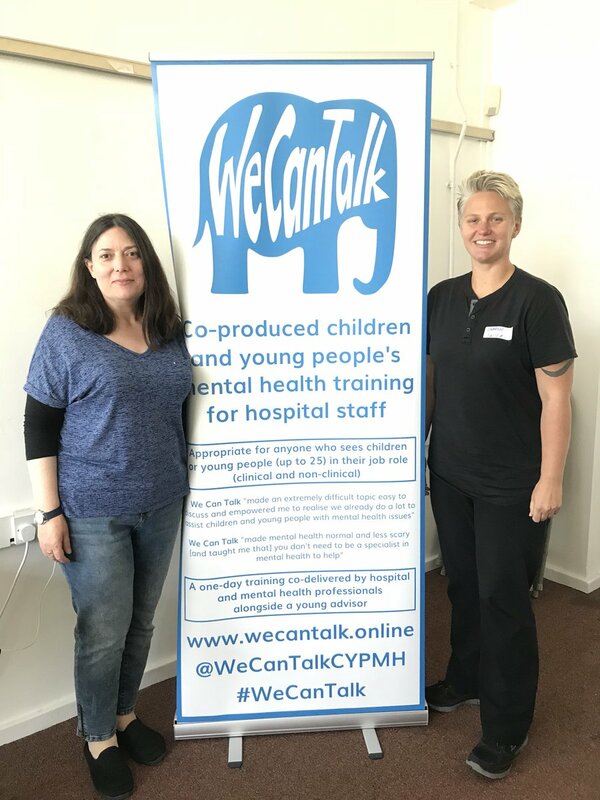 The ‘We Can Talk’ Children and Young People’s Mental Health (CYP MH) project, which is funded by Health Education England, offers acute hospital trusts a series of one-day training sessions for staff, who are not experts in mental health care, to learn more about mental health difficulties and how they can support a young person in hospital. Each training session will also have a young person advisor attend to share their experience of being in hospital during a mental health crisis – helping to illustrate to the hospital staff the difference that they can make to a young person’s experience. Brighton and Sussex University Hospitals NHS Trust (BSUH) have signed up to the initiative and will be delivering the training programme from October this year with specialists from Child and Adolescent Mental Health Services (CAMHS) to staff at the Royal Alexandra Children’s Hospital, Royal Sussex County Hospital in Brighton, and Princess Royal Hospital in Haywards Heath. Sam Bean, who works as a CAMHS Nurse for Sussex Partnership NHS Foundation Trust in the CAMHS Paediatric Mental Health Liaison team at Royal Alexandra Children’s Hospital, is one of the project leads who will support the delivery of the project with staff. She said: “We have been so impressed with how hospital staff have responded to the project so far. We sent out an initial survey to all staff to help us establish how confident they felt in working with young people who are experiencing mental health difficulties. Their responses showed us that they currently find it difficult and quite stressful because they are afraid of saying or doing the wrong thing. The ‘We Can Talk’ project was first piloted at Barts Health NHS Trust in 2017 with over 300 acute hospital staff, and helped to identify the areas where additional education and support was most needed for hospital staff to feel confident and competent when caring for a young person in hospital with a mental health need. Lorraine Tinker, Divisional Head of Nursing for Children at BSUH, said: “I am so excited that we are able to participate in ‘We Can Talk’ and am so pleased that we’re able to offer this important training to our staff.